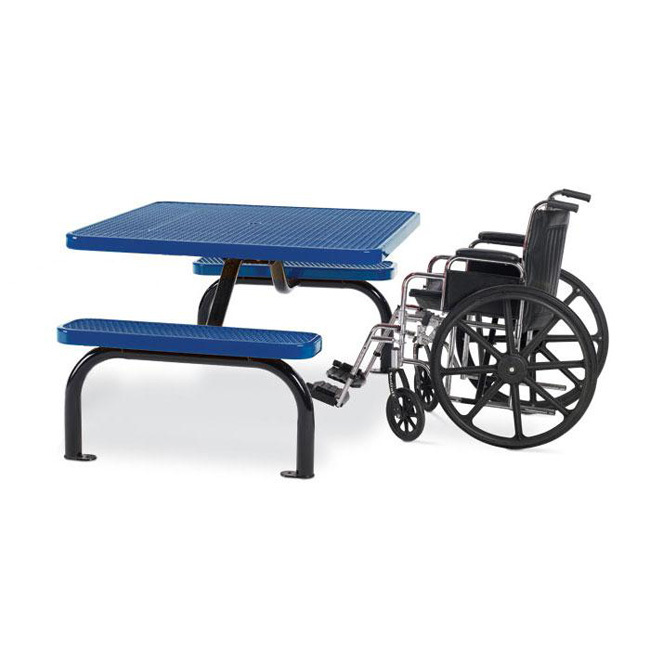 Our square two bench ADA table allows 4 people to sit with 2 wheelchairs placed on opposite sides of the benches. Steady support as well as a common top height makes this a perfect table for everyone. Top Height 30" Bench Height 20"